Private and personalised Madrid experience with a specially handpicked Host. There’s nothing quite like spending an evening in Madrid eating your way through plates of authentic tapas - the city is bursting with incredible bars, you just have to know where to find them! Whether you want to eat in neighbourhood joints where there’s only a few plates on the menu, or you want to taste contemporary tapas at restaurants renowned for innovative twists on the classics, with a hand-picked Host by your side you’ll be able to discover where they very best are. 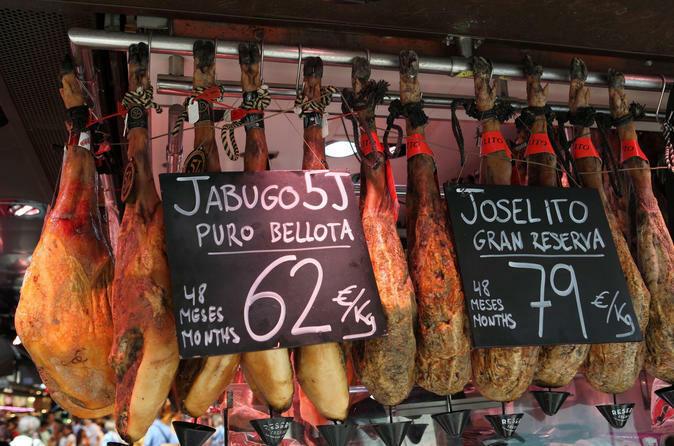 For an authentic taste of local life in Madrid, there’s no better experience. Join your specially handpicked Host who is a foodie like yourself to eat and drink your way around some of the best tapas bars in Madrid! Discover a spirited local neighbourhood brimming with authentic tapas joints, and bar hop your way around squares renowned for the dishes they serve up. With your perfectly matched Host by your side to navigate, you’ll know what dishes to order where, and skip any tourist tapas pitfalls! Enjoy a cold beer or glass of wine as the sun goes down just like the locals do, and soak up Madrid’s laid back atmosphere as you try delicious mouthfuls of exquisite tapas. Spend a few hours getting to know your Host, who can recommend other great bars and restaurants to try, so that you can continue to make the most of your time in Madrid and get even more of an authentic taste of local life.